The Reds came into this game needing to get their season back on track after a string of disappointing results in both the league and Shield. Still short of a good number of experienced players through injury, the Reds brought in 2s prop Adam Scott for his debut off the bench. The Reds got off to a dream start with a try inside the first two minutes. 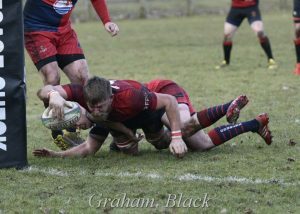 RHC had kicked off with the wind at their backs and the ball was fielded by the Reds deep in their own half. 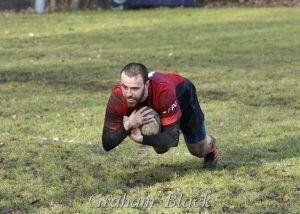 After a series of plays driving up the field Rab Cairns made a fine break out wide to run in under the posts for a fine try. 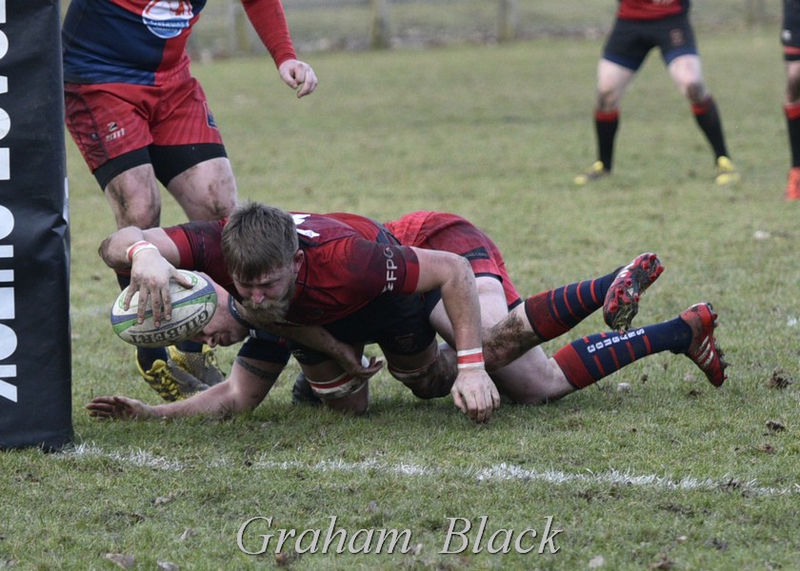 John Strachan converted the try to give the Reds an early 7-0 lead. 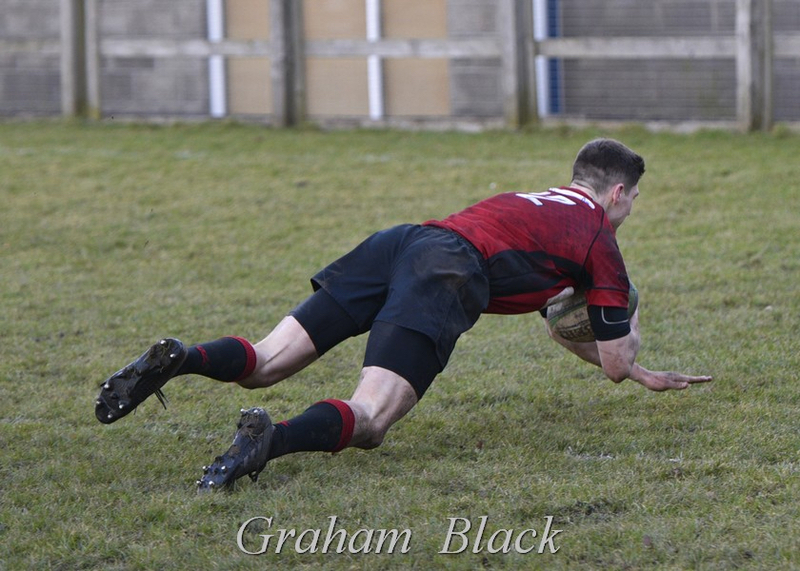 This was a match in which the Reds always kept in front, at one stage they were 30-15 up, however RHC continued to play rugby and scored some excellent tries of their own. 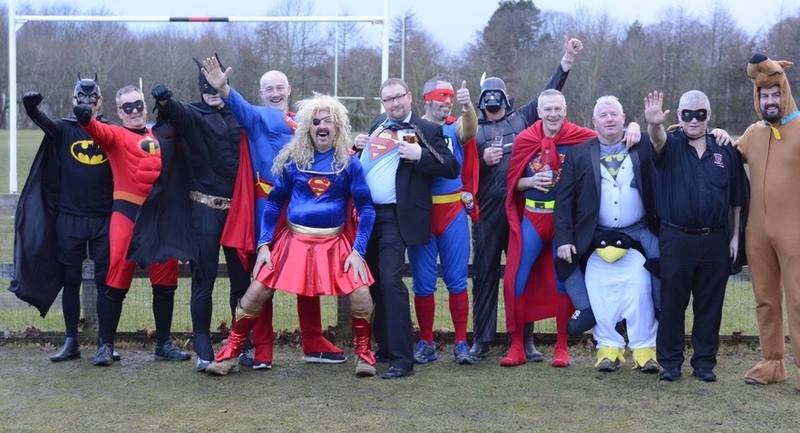 The RHC coach was delighted with his team’s play – “best performance of the season” – but was also very complimentary of the Linlithgow performance, which he described as “well structured and balanced overall”. For a neutral, this was a cracking match with both sides scoring 5 tries in an open and flowing game. Many sides would have wilted under Linlithgow’s offloading style of play, but credit to RHC for finding ways to stay in the game. 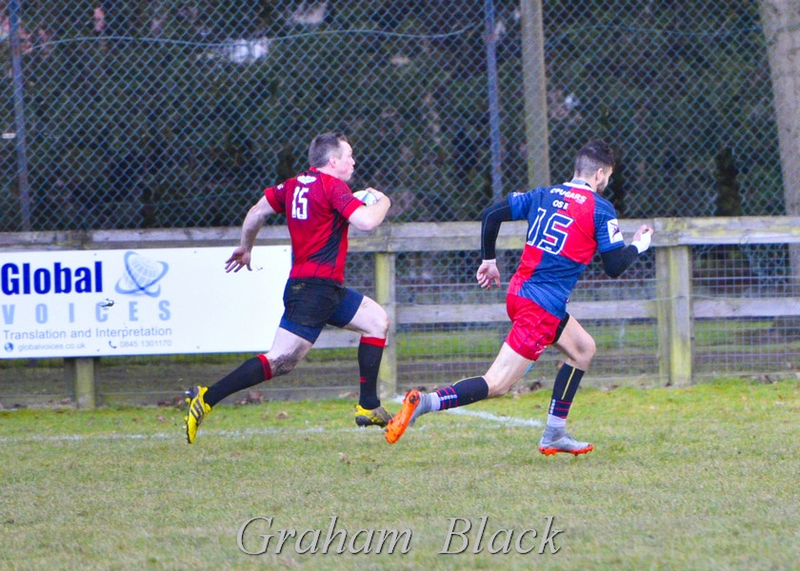 The final score of 37-32 was probably fair, with Linlithgow missing a penalty with the final play of the match that would have taken them 8 points clear. For the Reds, Ross Martin at No. 8 was outstanding and deservedly won the man-of-the-match award, while Rab Cairns at full back was always dangerous in attack and gave the Reds the edge out wide. John Strachan kicked well for the Reds and claimed 12 points through 2 penalties and 3 conversions. Ross Martin scored two tries and made another with a superb crosskick from the base of a ruck to send winger Cammie Murrie over. His two tries came from a typical breengeing run in the first half and from a pushover try in the final quarter of the match. Mark Caddle scored the other try for the Reds, with a fine outside break and hand-off in the centre. In assessing the Reds performance, it’s important to recognise that 10 of the players who started the season were missing, largely through long-term injury. Over the coming weeks, the Reds hope to welcome some of these players back. It says a lot for the strength of the 2nd XV that they have been able to keep winning despite having so many players called up to the 1s. Rab Cairns; Lewis Herdman, John Chapman, Mark Caddle, Cammie Murrie; John Strachan, Jamie March (captain); Chris Archer, Euan Mochrie, Ally McLean; Neil Lockhart, Kieran Cochrane; Andrew Archer, Cal Thomson and Ross Martin. Subs – Adam Scott, Stevie Grant, Lauchlan McColl and Cammy Walker.